By Appointment Only: Tuesday, April 2, 2019 Contact Us to Schedule. 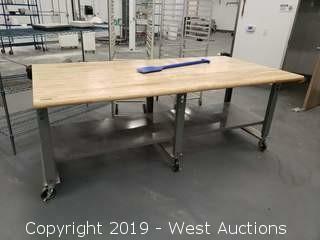 Highlights from this online auction include a 40’ Carrier Refrigerated Sea Container, used restaurant equipment such as convection and gas ovens, under-sink refrigerators, freezers, stainless steel sinks, and so much more used equipment for sale. With no reserves - all items will sell regardless of price, so don't let these great deal get away! Note: Removal must be scheduled by appointment, no later than Friday, April 5, 2019. Contact us for an appointment. Note: Pallet racking has been disassembled for ease of transport. Page last refreshed Tue, Apr 23, 4:52am PT.